Until the first edition of Steven Spielberg: A Biography was published in 1997, much about Spielberg's personality and the forces that shaped it had remained enigmatic, in large part because of his tendency to obscure and mythologize his own past. But in this first full-scale, in-depth biography of Spielberg, Joseph McBride reveals hidden dimensions of the filmmaker's personality and shows how deeply personal even his most commercial work has been.This new edition adds four chapters to Spielberg's life story, chronicling his extraordinarily active and creative period from 1997 to the present, a period in which he has balanced his executive duties as one of the partners in the film studio DreamWorks SKG with a remarkable string of films as a director. Spielberg's ambitious recent work--including Amistad, Saving Private Ryan, A. I. Artifucial Intelligence, Minority Report, The Terminal and Munich--has continually expanded his range both stylistically and in terms of adventurous, often controversial, subject matter.Steven Spielberg: A Biography brought about a reevaluation of the great filmmaker's life and work by those who viewed him as merely a facile entertainer. 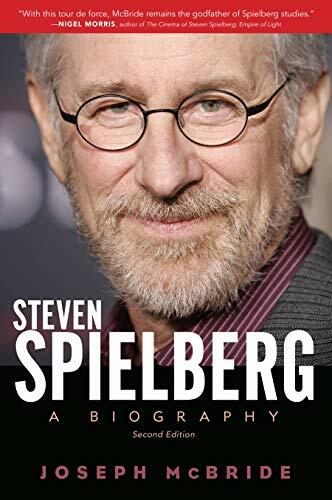 This new edition guides readers through the mature artistry of Spielberg's later period in which he manages, against considerable odds, to run a successful studio while maintaining and enlarging his high artistic standards as one of America's most thoughtful, sophisticated, and popular filmmakers.